Announcing a Hot New Source of Virtually Free Money! 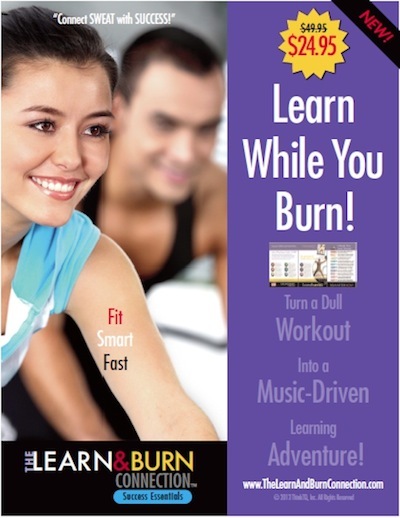 This amazing new, LEARN-while-you-BURN program contains the ultimate collection of high-impact success ideas — over 10 hours in total — set to exhilarating, heart-pounding, fitness-inspiring music that will become the soundtrack for making the rest of your life, the BEST of your life! If you want to offer your customers a fabulous new experience, and quickly make some FREE CASH FLOW, the Learn & Burn Dealer Program is for YOU! "Train like a Champion… Learn like a Genius!" "The best IDEAS from the best BRAINS on the planet!" This opportunity is perfect for Fitness Clubs, Rec Centers, Gyms, YMCA's, Cycle Shops, Running Stores, Salons, Car Washes, Personal Trainers, etc. All dealer/retail appointments in a given area are "first come, first serve." This simple program is a high value, low cost IMPULSE buy for people looking to Get Fit FASTER... and LEARN Success-critical Time Management skills — WHILE they are working out. People want to improve their health and fitness. They want to become more productive and successful. We make doing BOTH... fun... easy... and exciting. 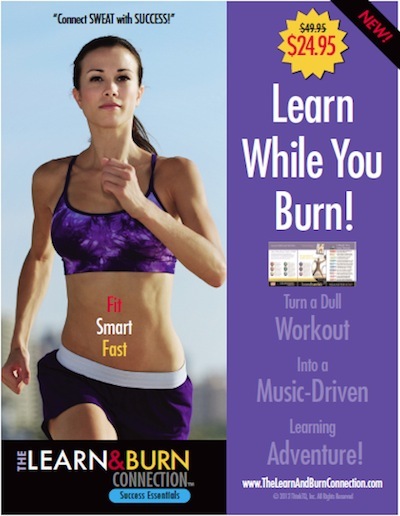 The big idea is to turn a dull workout into a MUSIC-DRIVEN LEARNING ADVENTURE! The Suggested Retail Price is $49.95 for the full 10 HOUR program. Depending on your market, we suggest a $24.95 - 29.95 impulse price. New Dealer Carton Pricing: Just $6/unit ($299.95/Carton). You may purchase as many cartons as you like on a one-time, first order, New Dealer basis. Normally $630 for a single carton of 50 Units, your cost is only $299.95 DELIVERED*. (Lower 48 United States only.) 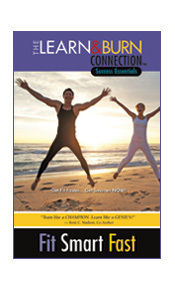 Offer expires February 10, 2013.
you will NET an ADDITIONAL $1,200 this month... just by putting this exciting new program on your counter! This is a HUGE profit from a "no-brainer" product. Simply order a couple of cases of Learn & Burn: Success Essentials... place the display by your register... and watch them fly off the counter! Order right now and we will even include a cool counter sign and display with your first order. Order 2 cases... just 100 units... you can make $2,400. Order 5 cases... just 250 units... you can make $6,000. Order 10 cases... just 500 units... you can make $12,000. Important: This is the Launch Special for ALL retailers/clubs, large and small. There are no other discounts, nor are there any co-op ad programs. Prices revert to normal Dealer Pricing on March 10, 2013. With each new order, you will receive a cool counter sign and display! The $6/unit $300/case of 50 price are introductory only and apply to your first order. Customers love the product so much that when they come back to re-order more they get upset because the non-promotional price is higher. Unfortunately, this is a special deal for establishing the product with new dealers and we cannot offer this super low price again. So don't be disappointed, stock up now with this one-time special promotional discount. Thank you for your understanding. Get a case or two to see how fast your customers snap them off your counter. 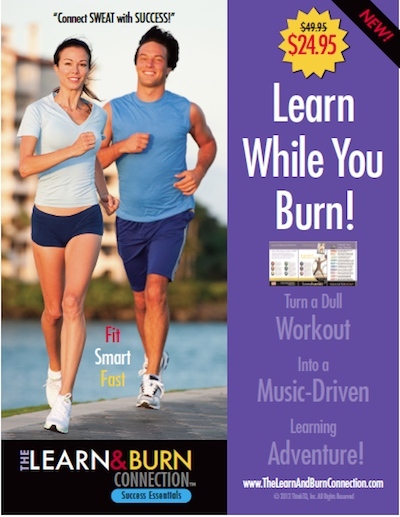 If you have a lot of fitness traffic, a Learn & Burn sale is as close to free money as you will ever find. This is a 4 Seasons product, but will sell especially well from January 1st through June 1st. Because there are no protected territories, you will have competition. Somebody will make a lot of money this year, why not YOU? If you even THINK your customers are interested in GREATER HEALTH AND FITNESS... and INCREASING PERSONAL PRODUCTIVITY... you need to act quickly before they get their needs met elsewhere. As we say, to the swift goes the race! Orders must be pre-paid with a credit or debit card. All sales final. Launch Pricing good to March 10, 2013, after which normal Dealer Pricing will be in effect. All orders purchased under Launch Pricing must be shipped to you by March 31, 2013. Pricing includes USPS/Lowest Cost Freight to locations in the lower 48 states only. Additional freight and handling will apply for orders outside the contiguous 48 United States of America. Damaged units must be returned for replacement. No other returns are permitted.